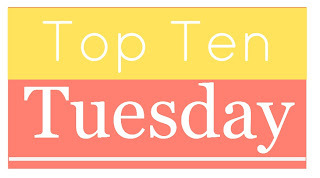 This week's Top Ten Tuesday topic from The Broke and the Bookish is authors I read for the first time in 2016. This year I really tried to get out of my comfort zone which means I read a TON of new authors. This could have easily been a top 20! Here are some of my favorite new-to-me authors! 1. Ian Fleming - Last Christmas J and I went on a binge of the Daniel Craig James Bond movies and it was so much fun! 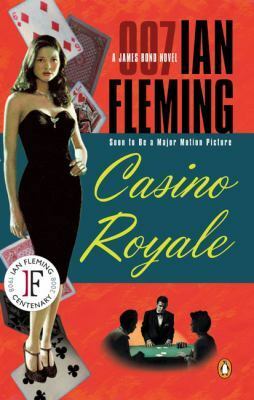 I was thrilled when I discovered that my library has the books on audio and have thoroughly enjoyed the three (Casino Royale, Live and Let Die, Moonraker) that I've listened to so far. I'm really looking forward to listening to more. Tone wise they're much closer to the Daniel Craig movies though even more straight forward. 2. Marissa Meyer - I hesitated on picking up a Marissa Meyer book. I don't read much YA and even less dystopia style books but I heard such great things about it so I finally gave in and gave Cinder a chance. I LOVED it! I enjoyed Scarlet as well and now can't wait to read the rest of the series. 3. Rick Riordan - Yep, I just now caved and read Percy Jackson and it was amazing! I don't know what took me so long! 4. Jojo Moyes - Another author that I have no idea what took me so long but after getting obsessed with the trailer for Me Before You I finally took the plunge and read the book. So good! 5. 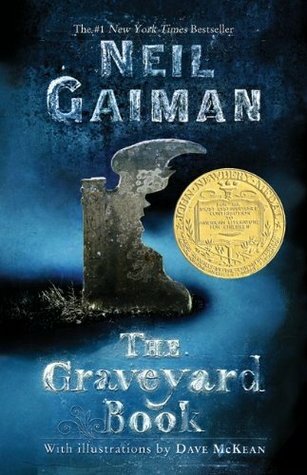 Neil Gaiman - I'd watched several episodes of Doctor Who that Gaiman had written but I hadn't read one of his books until this year when I finally read The Graveyard Book and it was weird and wonderful and completely crazy! 6. Robyn Carr - So many of my favorite bloggers are crazy about her books and I'd been wanting to read her books for ages. This year I read The Wanderer and The Life She Wants and thoroughly enjoyed them both. 7. J.T. Ellison - This was one of 2 authors I read this year that are prolific and so perfect for me that I feel like Faye should have sent me a book with a note saying "read this". Not only is Ellison a fantastic mystery author but she sets her books in the Nashville area which I'm super familiar with and its always an extra treat to read about a familiar place. I read Field of Graves and it was such a page turner! 8. Laura Griffin - And here's the 2nd author! I love a good romantic suspense book and Deep Dark definitely delivered! I couldn't put it down! 9. Elly Griffiths - I had been wanting to read her books for ages and I love archeology mixed in with my mysteries. I'm glad I made time for this one this year! I read the first book in the series, The Crossing Places, and can't wait to read more. Who did you read for the first time this year? I was surprised that I actually read a lot of authors that I had read before this year. I was still able to come up with a top ten, but I guess this year was about returning to the familiar! I'd like to give Ian Fleming a try and maybe Marissa Meyer too. Riordan is another one, I've been meaning to try his books. Maybe in '17! And I still haven't read Gaiman! Eek. Robyn Carr's Virgin River series is excellent! Ah, some of my face authors there: Ellison, Griffiths, Griffin, Carr...Glad you discovered them and enjoy them too! I love Rick Riordan, Marissa Meyer and Neil Gaiman. Will, I don't love all of Neil Gaiman's books, but I definitely liked The Graveyard Book and Fortunately, The Milk. I'm so glad you liked Cinder and Scarlet. Cress is AMAZING! I was hesitant to pick up Marissa Meyer as well because I generally don't read young adult. Although I was so glad I did because her retellings are so unique and fun. I first read Neil Gaiman this year as well though I chose the book Neverwhere. I loved it and have The Graveyard book on my TBR for sure along with the rest of his books. Marissa Meyer and Jojo Moyes are both on my TBR as well. Thanks for sharing! Some great new to you authors. When I discovered Robyn Carr I went manic reading her books and unfortunately am almost caught up bar her historicals which aren't me. Jojo Moyes I discovered last year and Marissa Meyer I have had on my list to try since Cinder came out, behind the eight ball there. Some great authors featured - discovering new to you authors is a great feeling especially if you then want to go and read their entire works! Jojo Moyes is an author I still have yet to pick up; I really need to! I keep meaning to read Rick Riordan and Jojo Meyers. Yay for discovering Marissa Meyer! So glad you read and enjoyed Jojo Moyes and Marissa Meyer. I love both of their books! I enjoyed reading your list of new authors - this year I also encountered Jojo Moyes, Marissa Meyer and Rick Riordan for the first time. Ian Fleming, P.G. Wodehouse and Elly Griffiths are authors I also love - though like you, I have only read the first of Griffiths' books and must get hold of more of her work. Neil Gaiman - hm... it depends on what it is. Thank you for sharing:). Love Neil Gaiman, he's such a unique writer. And so happy you enjoyed Cinder and Scarlet. I love the Lunar Chronicles so much. I'm so glad you read and enjoyed Rick Riordan, Marissa Meyer, and Robyn Carr! (But seriously, read Virgin River. I think it's one of her best.) And thank you for reminding me; I've been meaning to read Wodehouse for at least 2 decades now, and have never gotten around to it. Maybe I can make this the year. So glad you loved Marissa Meyer! And Rick Riordan & Gaiman are so awesome. I read my first Jojo Moyes this year too! Awesome list! So glad you finally tried Robyn Carr and loved her, and I'm glad you liked Rick Riordan too, I read the first one (or was it two?) books in the Percy Jackson series and liked them a lot but never finished them. I really should though as they were really well written. Glad you discovered some great new authors! Yay for reading the book before watching the movie! I also took forever to read Me Before You and absolutely loved it, and enjoyed the sequel as well. Can't wait to see what Jojo Moyes does in 2017! Neil Gaiman is amazing, I love everything I've read by him. I also liked Percy Jackson.